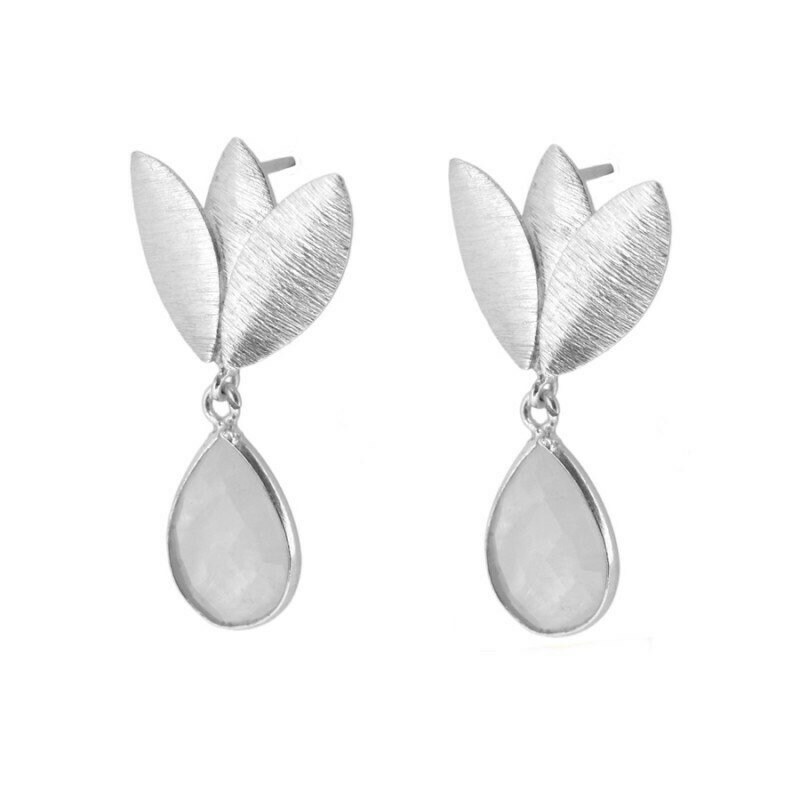 Three-leaf earring made in sterling silver with a drop of faceted moon stone. 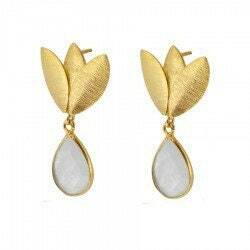 Spectacular and elegant you won't want to take them away!!! -Silver 925 bathed in gold.